Did you notice the plural? 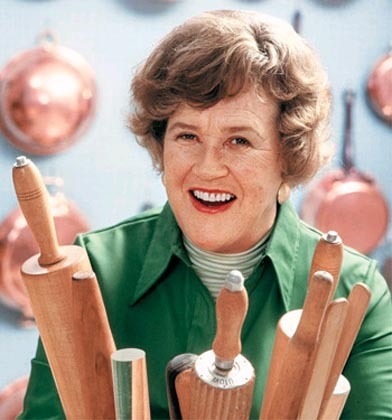 YES, there is more than one Julia Child Boeuf Bourguignon recipe. THERE'S the one published in Mastering the Art of French Cooking, Vol. I, in 1961, and there's the one she published in 1975, in her lesser-known book, From Julia Child's Kitchen, which she wrote without the partipation of either of her previous co-authors, Simone Beck and Louise Bertholle. IN THE latter book, she has a section on beef stews, and Boeuf Bourguignon is just one of six stew recipes. Click here for the recipe from Mastering the Art of French Cooking. Click here for the version from From Julia's Kitchen.